Launched in 2004 in Kawasaki, Japan, Noriko’s home town, Jamie’s Concerts have been also held in the UK since 2010 for those who are not normally able to go to concerts, such as parents of children with autism or another disability. The appointment of Noriko as Cultural Ambassador of National Autistic Society (NAS), UK, familiarized this event further to British people. The results clarified the Jamie’s Concert’s originalities and effects, while offering its bright prospects for the future. Please read the whole academic report made by Dr. James (in English, 17 pages totally, PDF). 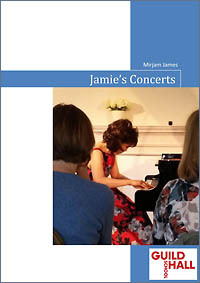 To know what is the Jamie’s Concert, please refer to ‘About Jamie’s Concert’ . Our heartfelt thanks are owed to all who readily supported this research.